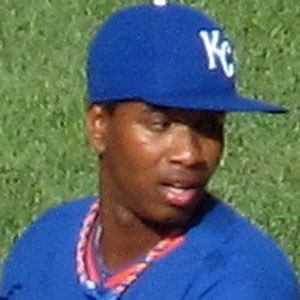 Dominican pitcher who made his major league debut with the Kansas City Royals in 2013. He won a World Series Championship with the team in 2015. He was born in the Dominican town of Samana and was drafted by the Royals as an international free agent in 2008. He pitched in game six of the 2014 World Series with "RIP O.T #18" written on his cap in honor of his late friend, St. Louis Cardinals prospect Oscar Taveras. His mother's name is Marisol. He died in a car accident on January 22, 2017. He was managed by Ned Yost during his time with the Royals.